Chinese stocks opened mixed Monday after the market was closed for four days to mark the 70th anniversary of the end of World War II. The benchmark Shanghai Composite Index dipped 0.34 percent to open at 3,149.38 points, Xinhua reported. 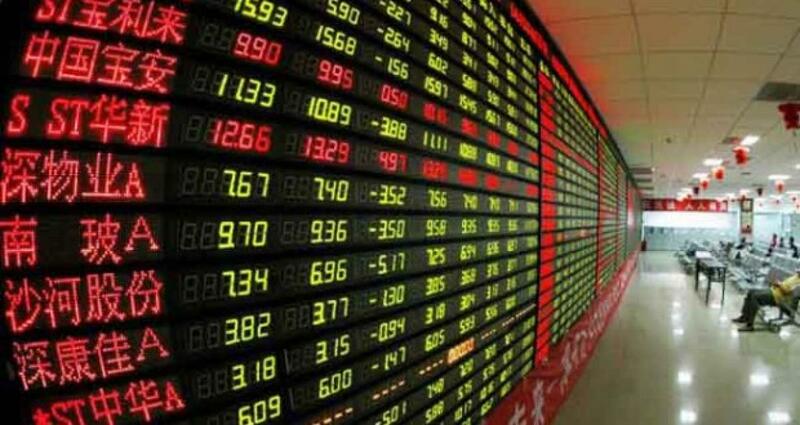 The Shenzhen Component Index opened 0.67 percent higher at 10,121.83 points. The ChiNext Index, the NASDAQ-style board of growth enterprises, opened 1.5 percent higher at 1,882.86 points. In the last day of trading, Sep 2, the key Shanghai index settled at 3,160.17 points, declining nearly 40 percent from its June peak and wiping out most of this year's gains. To calm jittery investors, China's securities regulator on Sunday night said that the stock market had stabilized and risks had been released, to some extent. The regulator said it would continue rolling out reform measures, improving the legal framework and enhancing market supervision in a bid to prevent further abnormal fluctuations. Central bank Governor Zhou Xiaochuan also pitched in with his own assuring remarks on Saturday, saying that the recent corrective process was now "roughly in place", and a more stable financial market is expected. He said the market fluctuations have not incurred any notable impact on the real economy and the fluctuations will not change the government's resolve to continue with reform. Meanwhile, the China Financial Futures Exchange (CFFE) announced last week that it will raise margin requirements on stock index futures from 30 percent to 40 percent of the contract value to curb speculation of stock index futures. The upper transaction limit on a single product will be reduced to 1,000 shares per day for each investor, it said.